SINCLAIR STAMMERS / SCIENCE PHOTO LIBRARY. SINCLAIR STAMMERS / SCIENCE PHOTO LIBRARY. 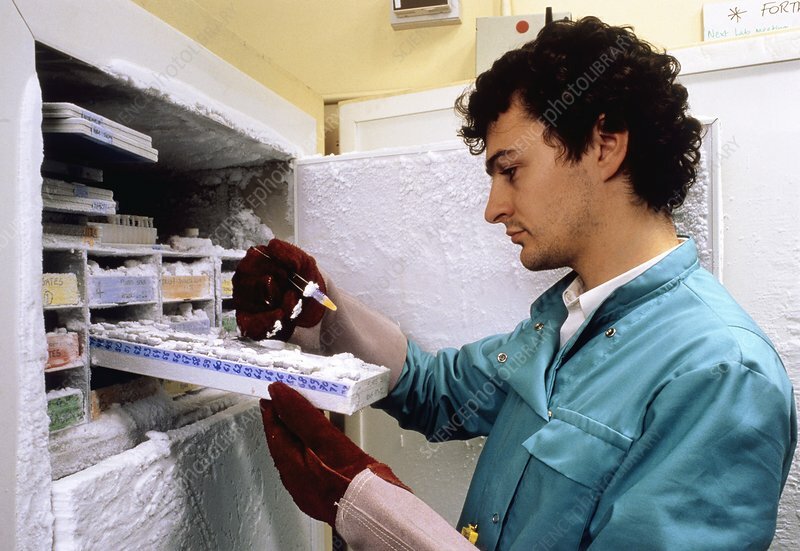 Research scientist in the Molecular Biology Laboratory, Department of Pure & Applied Biology, Imperial College, examining a sample from a serum bank. The serum bank, which takes samples from all over the world, stores a variety of labelled antibodies at a temperature of -70 degrees centrigrade. The antibodies are used in research on parasitic organisms causing major diseases, such as malaria (Plasmodium), toxocariasis (Toxocara) & brucellosis (Brucella). The work centres on immunological research & the development of effective vaccines.